There’s been a recent trend among various retail companies regarding the use of print catalogs. Not that these catalogs have gone completely extinct, but with the popularity of their digital counterparts, you would think that going for a traditional option would be a gamble to risk. You may also see multipurpose catalog examples. 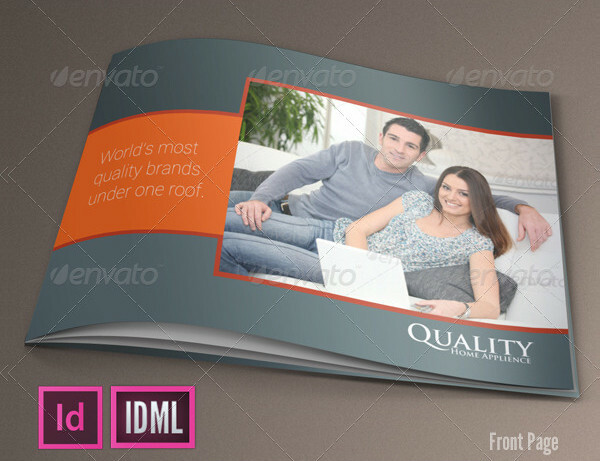 In reality, product catalogs are still one of the most favorable promotional mediums to this day. Many small businesses even consider it as a cost-efficient approach for advertising their products and services to target consumers. Knowing this, creating a catalog that’s worth looking into is certainly a factor that every advertiser should aim for. So in this article, we discuss the basics of a product catalog and a few guidelines on how you can craft one from scratch. You may also see real estate catalog examples. A catalog, like a business card or an email signature, is a marketing tool used to identify and reinforce brand awareness among prospects. It’s a document composed of many parts, such as the cover, table of contents, back cover, and other elements which depend on the kind of project being created. Most sales catalogs are designed to sell a collection of products that a company has manufactured for a certain season. These catalogs are usually released on a yearly, monthly, or bimonthly basis, depending on the holidays being celebrated during that particular period. For instance, Back-to-School season may seem dreadful to students, but it’s also a profitable time for many businesses to take advantage of. A company’s Back-to-School catalog may feature anything from school supplies to dress code-appropriate garments. You can even find popular brands like IKEA join in on the trend by featuring items such as book shelves and study desks on their home product catalogs for Back-to-School. There are many reasons why consumers prefer using catalogs for shopping, whether they are in print or digital form. If you think about it, bringing these items to customers as opposed to waiting until they find out about them is an excellent means of product exposure. Though you could always promote a product through TV, radio, or billboard advertising, there’s nothing like marketing these products directly—all at the same time. You may also see product catalog examples. 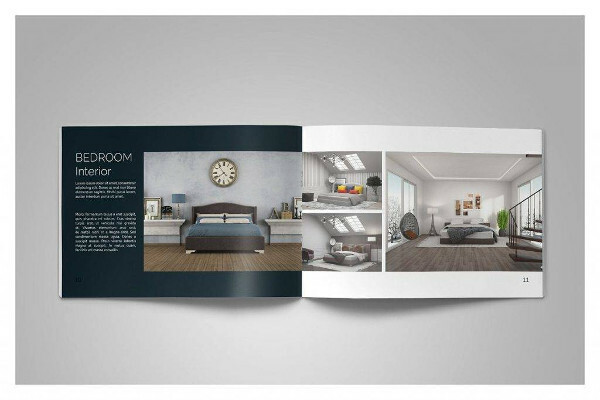 With a catalog, you can feature nearly a hundred of your best items in an 8-page product spread. While it may seem overwhelming to think about, you’d be surprised by how well you could fit everything into one full catalog. What matters most is your ability to organize the catalog based on its intended categories to prevent a messy layout. The catalog could even double as an order form where customers can simply enter quantities next to the items they want to buy, and have it mailed to the respective suppliers. You may also see toy catalog examples. However, it’s important to keep in mind that catalogs aren’t created by just one person. Business in general is not a one-man show. You can’t rely on a single person to complete the entire catalog before the indicated deadline. Why? Because catalogs need to be created strategically based on product placement, customer preferences, and design. This means you’ll likely need a sales, marketing, IT, and graphics team to be involved in the creation process. This will help the company achieve a catalog that’s not only good to look at but rather practical as well. You may also see travel catalog examples. Product data refers to the specifics of a given item that customers are obliged to know about. This includes codes (item numbers), category, subcategory, product name, description, prices, attributes, and more. This information can be found in the company’s database or ERP systems, which can easily be accessed by the authorized entities. Your product data should make up the textual aspect of the catalog. You may also see fashion catalog examples. Images, which may include photographs, illustrations, and symbols, are an important part of any catalog. This provides a visual representation of what has been described on text for customers to consider. Most consumers have developed a habit of shopping with their eyes, so if a product looks good on print, it’s likely to garner a good amount of attention. It’s also a wise idea to showcase these items from their best angles. Visual manipulation might seem like a bad thing, but it’s a common marketing strategy that many experts suggest doing. This will help highlight each item in the best light for better product delivery. This is the part where hiring a graphic designer would be appropriate. A graphic artist or designer is an industry professional who specializes in the fundamentals of print and digital design. Though large corporations may choose to hire an in-house designer for their multi-channel advertising approach, as a small business, you do have the option to outsource these services through a freelancer or a communications agency. This would be a lot cheaper as opposed to adding a new member to your staff, especially if you don’t have the necessary funds to keep a permanent designer on your team. You may also see restaurant catalog examples. It’s obvious that technology has become an essential part of our everyday lives. This has forced us to believe that any kind of print media had to be converted into a digital version of itself. While conventional mediums were always considered as a reliable form of marketing, audiences began demanding more engaging, relevant information through an advanced approach. However, despite the advantages that digital media is perceived to have over print, not many seem to realize how both options carry their own share of pros and cons. You may also see construction company catalog examples. One of the things that people love about a traditional catalog is its tangible nature. Some print catalogs are designed with a textured luxury paper, scented pages, and those that change color when exposed to a different element. Even if your catalog doesn’t carry any of these features, having something to hold already adds to the whole experience. This is something that a collection of pixels on screen could never do. You may also see minimal brochures. Print catalogs allow offline advertising as well. This makes it a more reliable medium to use thanks to its easy access. This way, you don’t have to put your subscribers through the hassle of downloading or installing a certain software to open the document. Catalogs could simply be distributed via mail, sale add-on, or personal interaction. Digital catalogs, on the other hand, are basically a step forward into the future. It allows you to be flexible with your content, leaving room for a more creative layout and interactive system. Many designers like to experiment with the latest trends by creating their own version for it. The best part is, digital catalogs can be updated whenever you need to, without having to worry about additional printing costs and the like. And since digital catalogs may be linked with your own website or third-party system, tracking and analyzing its reach will help you track its level of engagement. You may also see T-shirt catalog examples. At the end of the day, both options seem like an acceptable choice to push through with. Marketing specialists believe that implementing multi-channel promotional strategies will help you widen your reach, increase brand awareness, and boost market sales, as long as they are done correctly. The trick is to study what platforms your target audience is most likely to be associated with and to research on the different tactics performed by leading competitors. You may also see service brochure examples. Creating a catalog seems like an exciting idea, until you’re in the process of actually making it. Not knowing where to start is a common problem that many marketers face, especially when you want to make it a lot more different than what’s already in the marketplace. You may also see photography portfolio catalog designs. 1. Create a layout for each page. Begin your catalog design with a rough draft. The planning stage of the process is extremely important, as this will determine the smooth flow of its succeeding phases. Creating a layout for each page will also keep the catalog completely organized based on its designated sections and pages. This helps you avoid the clutter and achieve a clean and aesthetically pleasing design. You may also see travel agency brochures. 2. Tell a story. Most catalogs come in the form of booklets. As customers flip through each page of your catalog, you’d want to tell a story to keep them engaged. Visual storytelling serves as the perfect opportunity to keep customers interested in what you have to offer. This also builds an emotional connection among viewers, allowing them to imagine themselves in the shoes of the models being featured. You may also see interior design magazine examples. 3. Use high-quality images. Image quality is key in advertising. It’s the one thing that can make or break your reputation, especially among individuals with an eye for detail. If you want to gain a person’s attention, you need to give them something to look at. High-quality images have the ability to generate attention with the least amount of effort, keeping viewers engrossed for a good period of time. Make sure you organize a formal photo shoot with a skilled photographer to work with your catalog. Though it may come with a higher price tag, the results are definitely worth every dime. You may also see landscape brochure examples. 4. Highlight best-selling items. There are different ways to do this. You could either feature your most popular items on the cover of the catalog, or use various design elements to emphasize these products. You also have the option to create a special section for these items to be featured in. However, try not to let them overshadow the rest of your offers, as you wouldn’t want to optimize on a single item and risk losing the “want” factor on the others. You may also see wholesale catalog examples. 5. Keep it organized. It’s a good idea to categorize products based on their type. Not only will it be easier for customers to browse through your catalog and find what they need, but it will also make your catalog appear clean and professional. Each page should complement those before and after it to maintain consistency as well. Choose the right color schemes and font styles that reflect the identity of your brand. As much as you want to obtain an attractive-looking design, you should always focus on establishing your brand identity as well. You may also see recipe cookbook catalog examples. 6. Include product descriptions. This is probably the most important part of your catalog. A catalog could have the most eye-catching design, but if it doesn’t serve its primary purpose, then it’s basically useless. Above anything else, keep your catalog informative. It should deliver important information about the product, including its retail price, color variation, and what it’s made of. A brief description about its origin or inspiration might also be a clever addition to keep buyers interested. 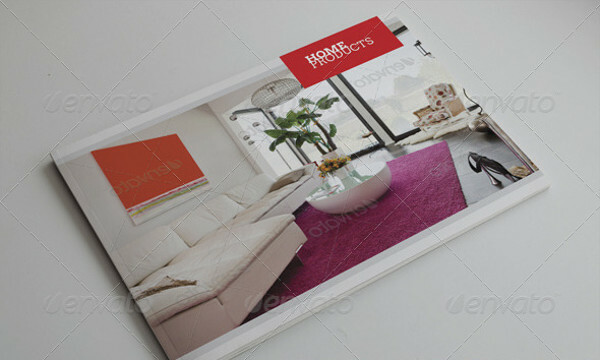 You may also see real estate agency brochures. Thanks to its intrinsic qualities, catalogs remain as one of the most effective sales tools on the market. 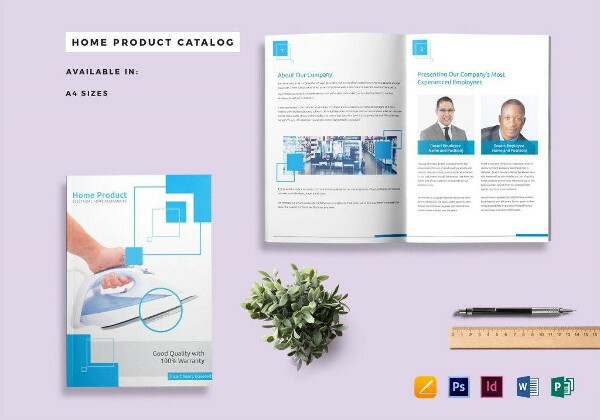 Considering how a good catalog design can make a significant difference in terms of sales, developing a catalog that is both functional and appealing is something that marketing specialists recommend. It might take a while until you could finally create something that consumers would like, but the successes and failures are all part of the experience to achieving an effective means of marketing. 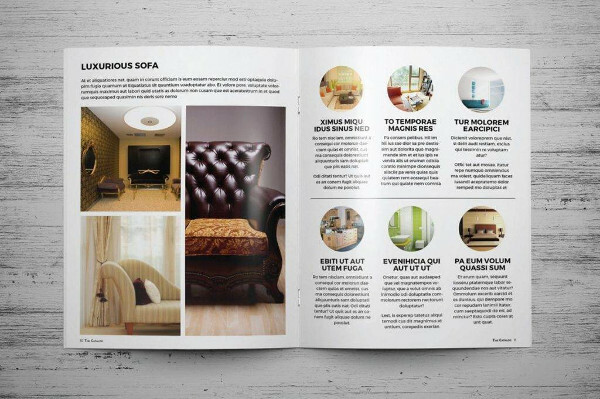 You may also see interior design catalog examples.